But first, a (slightly salty) recap! 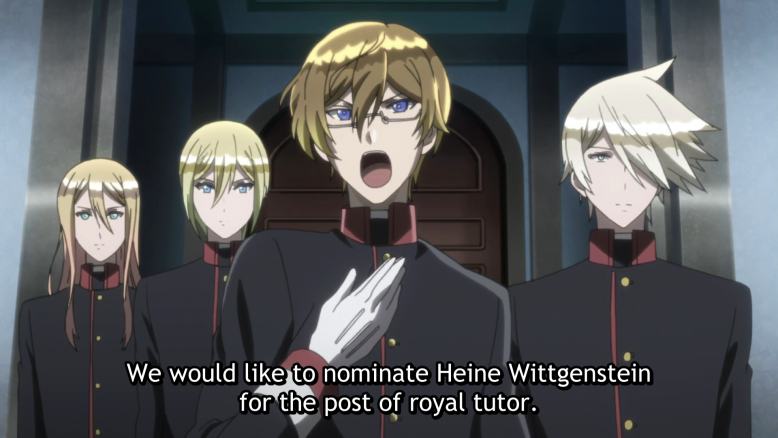 Picking up right where we left off, Heine still plans to resign in order to protect the princes’ reputations from any unsavory rumors about their tutor. He gets one last day with them so he can recap the series in a monotone and tell the princes that they’re good good boys (obvs) while they cry a bunch, and then he’s gone for good. Viktor decides that the appointment of the next royal tutor will be determined by a council of counts (the countsil? ), and they’re taking nominations! 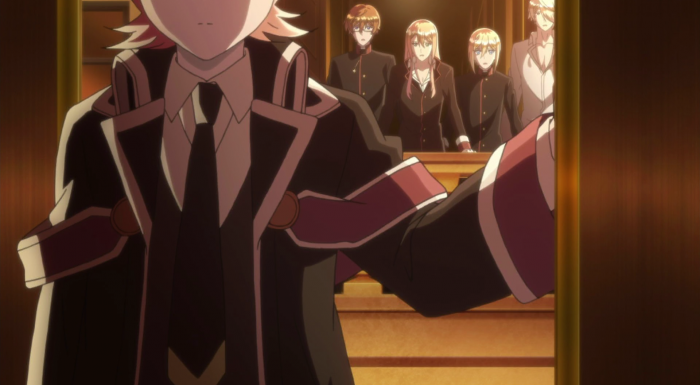 The princes work together to give one last fiery recap speech about why Heine is the only tutor for them. The boys win over the countsil (much to Rosenberg’s chagrin), Heine (who snuck in to watch), and their big brother Eins (appearing at last! ), and Heine returns to his rightful place in the palace. It’s a perfectly serviceable melodrama, I suppose, full of big emotions and on-the-nose explanations and lots of passionate boys shouting their feelings. 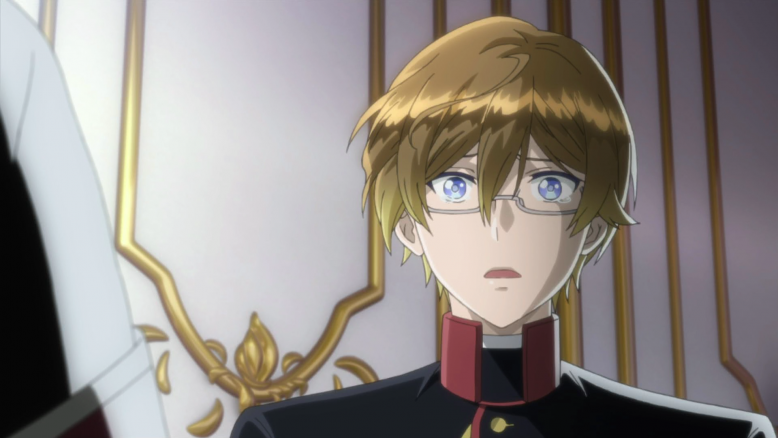 The problem is that it doesn’t feel like an episode of The Royal Tutor because “big loud melodrama” isn’t what The Royal Tutor is–or, at the very least, it’s a tiny piece of a much more diverse whole. 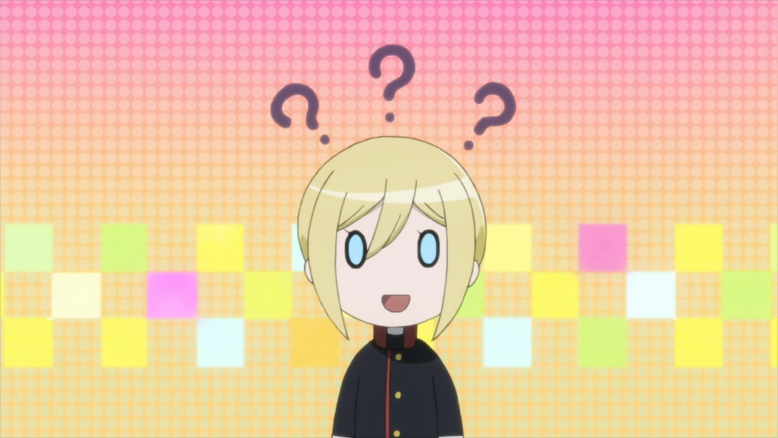 The Royal Tutor is a silly comedy and a sincere character drama. It’s fond of lectures, but it tempers them with snark and silliness, so the show never feels too saccharine or preachy. That balance is what makes this series so appealing, and that balance is all but lost this week. Great comedies tend to fluctuate between the irreverent and the earnest, and it’s not uncommon for final arcs to focus more on the earnest part (see: Ouran High, a series with a much more successful anime-original ending). But they don’t usually forget they’re a comedy in the process. Barring a single chibi Leo and a (very good) sight gag where Prince Eins avoids Viktor’s hug, this finale is joyless. That lack of tonal diversity leads to an exhaustingly one-note episode. By the Council Confrontation scene, I was so burned out on Emotional Gravitas that the sight of the stone-faced Heine openly crying barely even registered on the ol’ Feels-O-Meter. That should have been a landmark moment for his character, but it just felt par for the course given all the other waterworks going off this week. Behold, the one lonely chibi amidst a sea of somber bishies. And you know, all of that might have still worked if that “one-note” style hadn’t extended to the characters as well. In their rush to write a story where the boys work together to get their tutor back (a great idea in and of itself, by the way), the writers turned our four princes into a kind of hive mind, with precious few moments to show off their particular strengths or quirks. Last night before bed I was trying to figure out why both Heine’s Farewell and the Council Confrontation sequences fell so flat for me, and it suddenly hit me that there’s no emotional resonance because the princes all react in exactly the same way. They all burst into tears. They all give eloquent, impassioned speeches to the council. Yes, the dialogue is specific to their experiences, but their actions and mannerisms are all but identical. Even their expressions are the same most of the time. 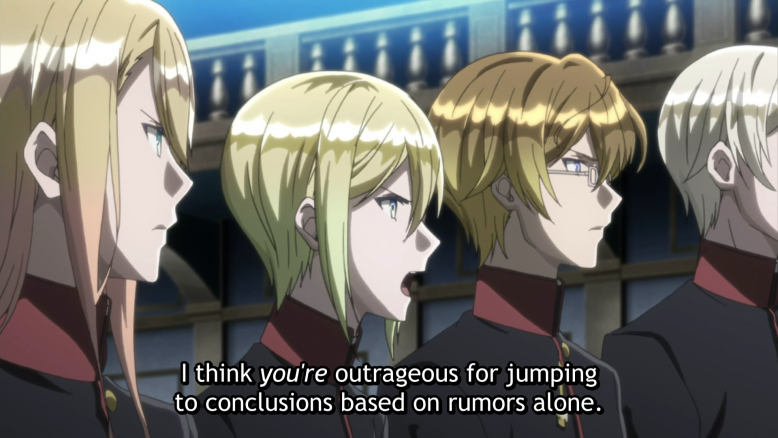 The Royal Tutor has spent weeks doing an excellent job depicting our four princes as unique, distinct individuals (even the group reaction shots conveyed character), and then they just threw that all away, homogenizing them into bland Pretty-Boys With Feelings. I can forgive a lot of narrative missteps, but losing a grasp on your characters is not one of them. That more than anything is why, the longer I think about this finale, the more I find myself actively disliking it. Agggh this moment was SO GOOD but it would have been SO MUCH BETTER if his brothers hadn’t just done the same damn thing! Okay, that’s enough grousing. Like I said, there were a few things I did enjoy about this one, so let’s end on that. There are some really good ideas at the heart of this episode, y’know, even if they weren’t executed particularly well. For one, while this finale may have over-simplified its tone and characters, it never lost sight of the show’s ongoing themes about the danger of “incorrect assumptions,” the importance of seeing people from multiple angles, and the fallacy of judging others based on their social status. (The final conflict is basically “old rich dudes snubbing their noses at poor people,” for heaven’s sake.) The Royal Tutor might be one of the most thematically focused series I’ve seen in a while, and I was glad to see that carry through to the end. 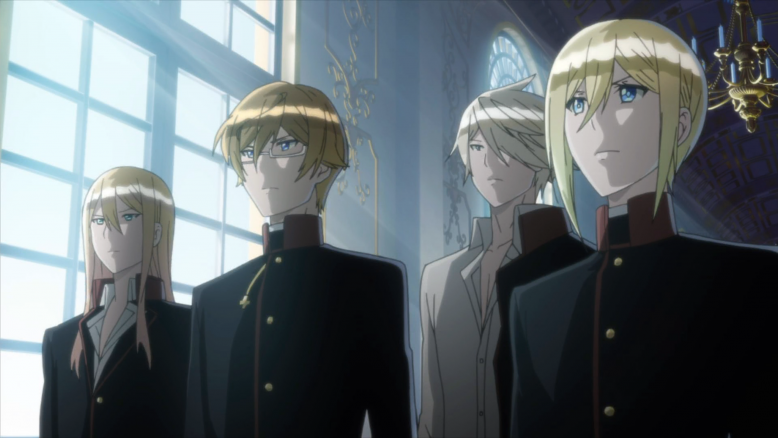 The narrative structure of the full series is quite satisfying, too, as the boys (er, except Kai) go from treating Heine with disdain because he’s a commoner with no formal education to scolding a room full of nobles for doing the same thing. They also give back to Heine what he’s given to them: trust and acceptance. All season, Heine has been confronted with their flaws and insecurities, and he’s supported them at every step. Now they get to do the same for him. 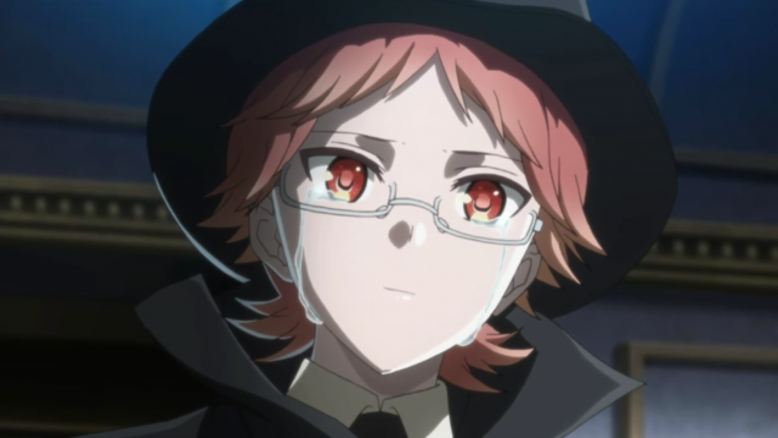 I suspect Heine’s tears are supposed to be ones of pride for how far the princes have come, but given his own tendency to judge himself quite harshly (“I’m not fit to be their tutor”) and keep others at arms-length, I like to think they also come from a much more personal place of simply being happy that others have accepted him and want him around. 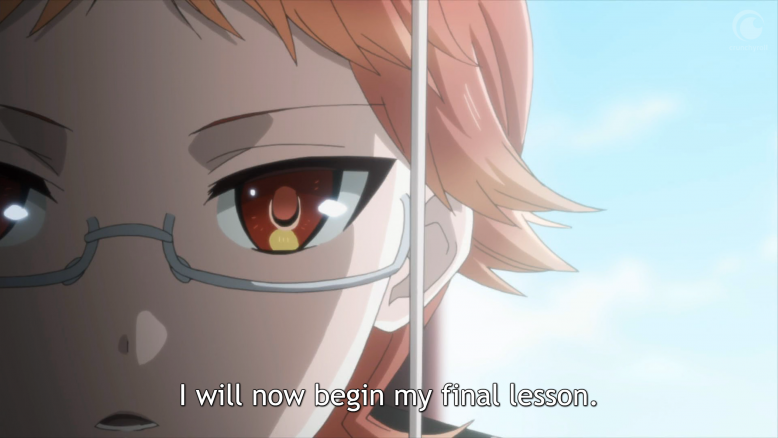 Despite this finale’s many issues, that’s a very sweet, very Royal Tutor-ish note to end on. Final act fumbles aside, overall I have a lot of fondness for this series and don’t see that changing any time soon. Episodes 1-10 were a start-to-finish delight, and it was always one of the series I most looked forward to watching each week. The gags were funny, the chibis cute, the characters charming, and the underlying ideas about prejudice, privilege, and communication made for a surprisingly thoughtful ongoing conversation. This adaptation also served as a damn good advertisement for the manga, especially when they went and introduced Prince Eins, Edgelord of Glanzreich, right before the end credits. Those teases. It worked, though: I bought the first digital volume of the manga last night (as I’m writing this, it’s only $2.99 on B&N and Comixology!) and am looking forward to further adventures with the good good boys. So keep an eye out for some Quality Manga Chibis on my Twitter feed in the near future, and I hope to chat with you all again about another series sometime soon! ICYMI, I had way too much fun with Prince Eins last night. 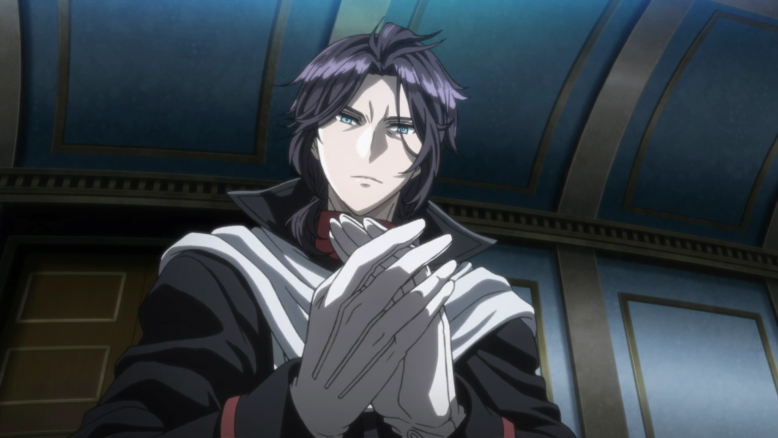 Viktor is the secret hero of this episode, nudging his sons towards action and encouraging Heine not to cut ties with the royal family just yet. I hope I get more of him and Heine in the manga, because they are a joy together. I’ll give some credit to this episode for both better explaining Heine’s reasons for leaving (“I don’t want to damage the princes’ reputations,” which at least makes some sense even if I still don’t get why Heine has a “criminal record” if he was acquitted of all charges) and scolding the princes for threatening the reporter last week. The writers didn’t really do anything with that point, but at least they knew it wasn’t cool. Funny Bone Tickler: Not exactly a wealth of choices this week, admittedly, but Eins ducking under Viktor’s hug did get a genuine chuckle out of me. I need more of that relationship too, stat. This Week’s Lesson: A good speech ends in applause. But a great speech ends in a slow clap. Well played, boys. Well played indeed.